Opened 1966 in a historic guildhouse from 1742. 170 seats. 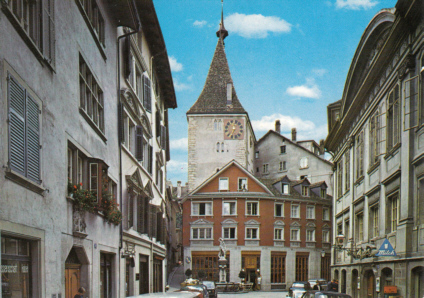 Reverse Text: "Zürich, Kantorei und Theater am Neumarkt"